Parker, James M.. "Fort Chipewyan". The Canadian Encyclopedia, 11 May 2016, Historica Canada. https://www.thecanadianencyclopedia.ca/en/article/fort-chipewyan. Accessed 20 April 2019. Fort Chipewyan, Alta, Unincorporated Place, population 847 (2011c), 756(2006c). The community of Fort Chipewyan was established for the NORTH WEST CO in 1788 by Roderick Mackenzie, cousin of Alexander MACKENZIE. Fort Chipewyan, Alta, Unincorporated Place, population 847 (2011c), 756(2006c). The community of Fort Chipewyan was established for the NORTH WEST CO in 1788 by Roderick Mackenzie, cousin of Alexander MACKENZIE. 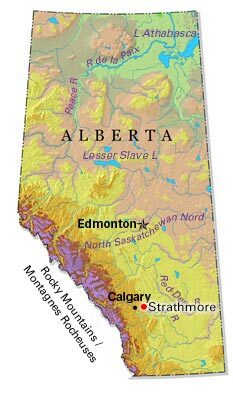 Situated at the hub of the MACKENZIE RIVER drainage system (ATHABASCA, PEACE and SLAVE rivers), it became an entrepôt for northern and western exploration and the expanding fur trade. 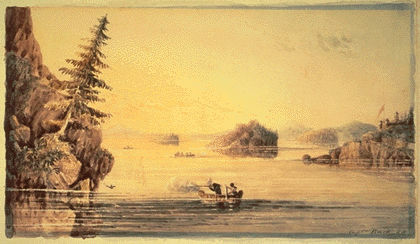 A fur-trade eldorado, Fort Chipewyan was the scene of fierce struggles between the NWC, the XY COMPANY and the HUDSON'S BAY CO which culminated in the HBC gaining control in 1821. Its significant role in the fur trade declined after the introduction of steamboats (SS Grahame was constructed at Fort Chipewyan in 1882-83). The Oblates of Mary Immaculate founded a mission there in 1851, followed by the Anglicans in 1874. In 1898 the NWMP established a post and Treaty No 8 was signed there in 1899. 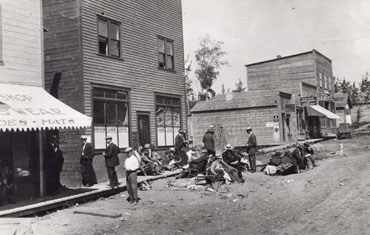 The oldest continuously occupied settlement in Alberta, Fort Chipewyan became a focal point of Peace-Athabasca Delta Project studies after the construction of the W.A.C. Bennett Dam. Inaccessible by road, the local community relies upon seasonal trapping and fishing, supplemented by employment in the nearby oil-sands plants and WOOD BUFFALO NATIONAL PARK. On 1 April 1995 the community was included in the amalgamation of the city of FORT MCMURRAY and ID No 143 (previously north and central parts of ID No 18) to form the regional municipality of WOOD BUFFALO. Fort ChipewyanOfficial web site for the Regional Municipality of Wood Buffalo, which includes the town of Fort Chipewyan, Ab.